We’re very pleased to announce that once again, RE/MAX has won the Consumer Choice Award for real estate brokers in Calgary! RE/MAX has been a fixture in Calgary for decades and remains the undisputed market leader in real estate marketing. The research has been performed now trust the facts, the best Calgary real estate brokers are from RE/MAX. The real estate brokers at RE/MAX are invested in finding the right real estate solution for all clients. For everything real estate trust the Company voted great, RE/MAX winner of the Consumer Choice Award for the best real estate brokers in Calgary. 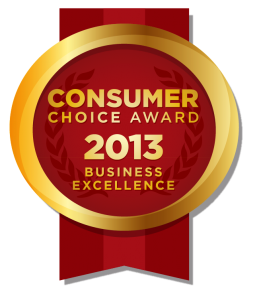 What are the Consumer Choice Awards? Consumer Choice Award is the only organization in Canada to determine the top-ranked service providers in various categories by conducting an independent market research survey that is statistically accurate.